Swiss Colour—Trams at the Basel Hbf. 25 April 2017, I spent a few minutes making photographs of trams at the transit hub in front of the Basel Hauptbahnhof (main railway station). In the vertical view I’ve included some flowers in the foreground for colour and depth. The railway station makes for a nice transportation backdrop. Exposed using a FujiFilm X-T1 with 18-135mm Fujinon zoom lens. 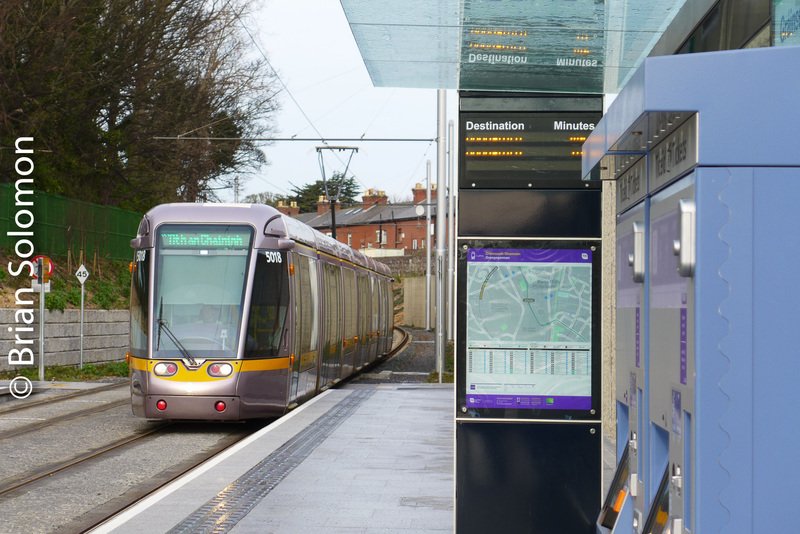 The flowers mimic the colours of the the trams. Revisiting the Rail Confluence at Rome’s Porta Maggiore. Back in April (2017), on the advice of Stephen Hirsch I visited the tram junction at Porta Maggiore in Rome, and those photos appeared in an earlier Tracking the Light post. 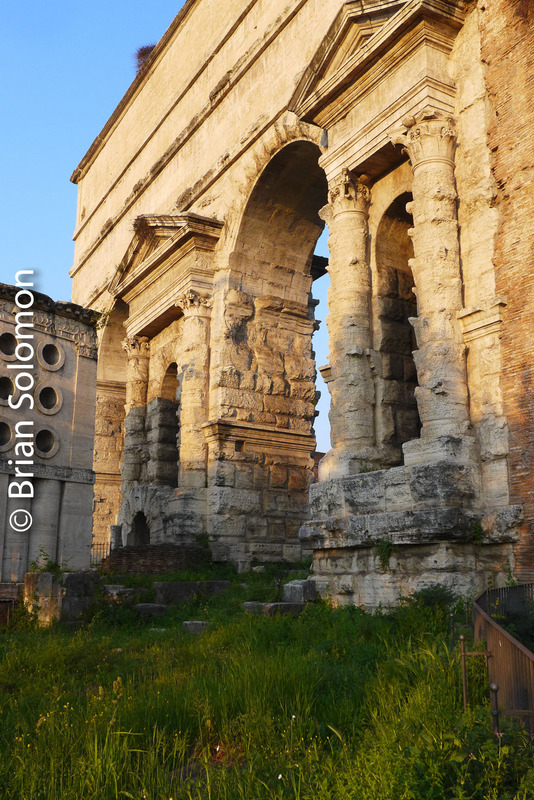 On my recent trip to Rome with Honer Travers in September we revisited this interesting location where several tram routes cross against the backdrop of a 3rd century Roman Wall and the Porta Maggiore city gate. 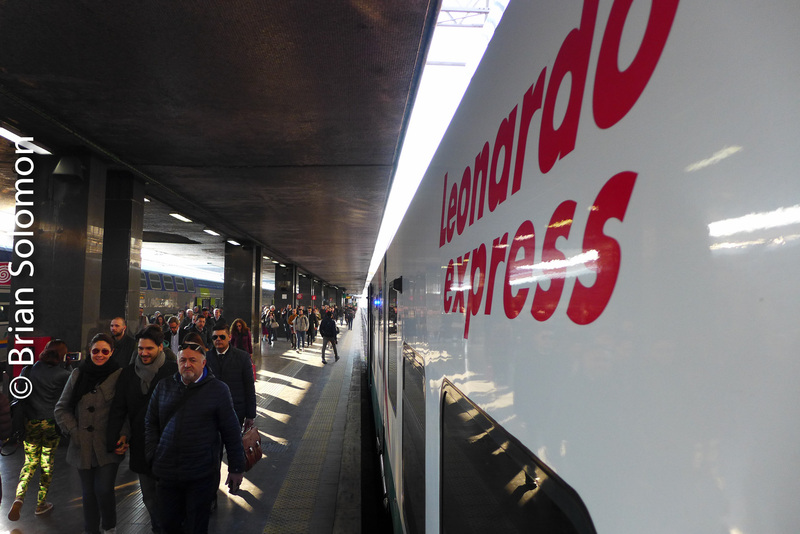 For added interest, the approach to Rome Termini runs on the east side of the wall and there’s a constant parade of Trenitalia passenger trains. I like to use the Roman Wall as a frame. Lumix LX7 photo. Note the FS train on the far side of the arches. 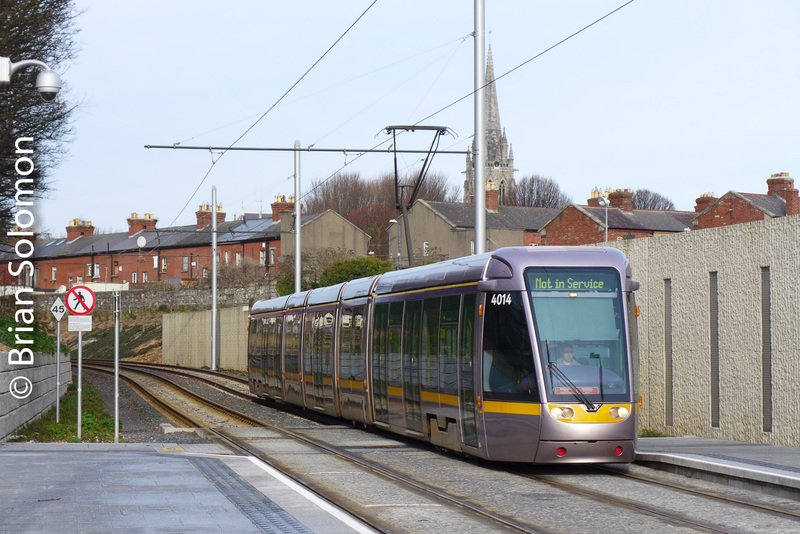 An out of service tram glides along the wall. 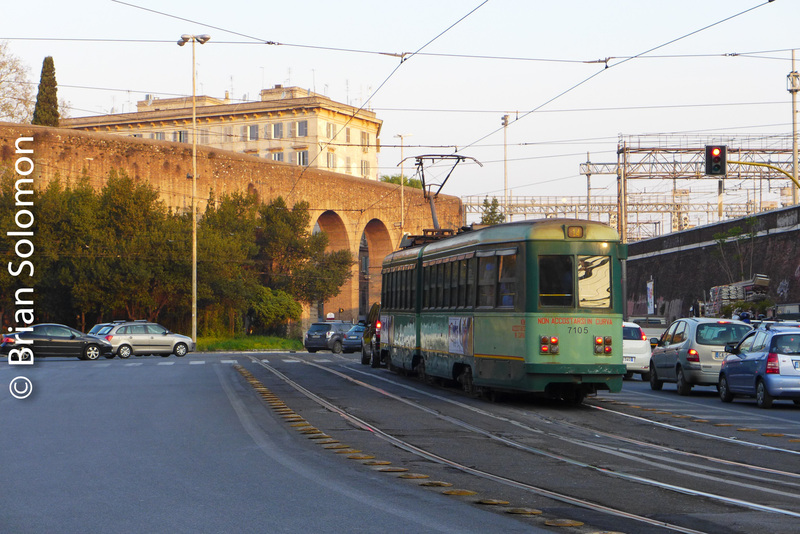 That’s the Porta Maggiore (old city gate) behind the tram. 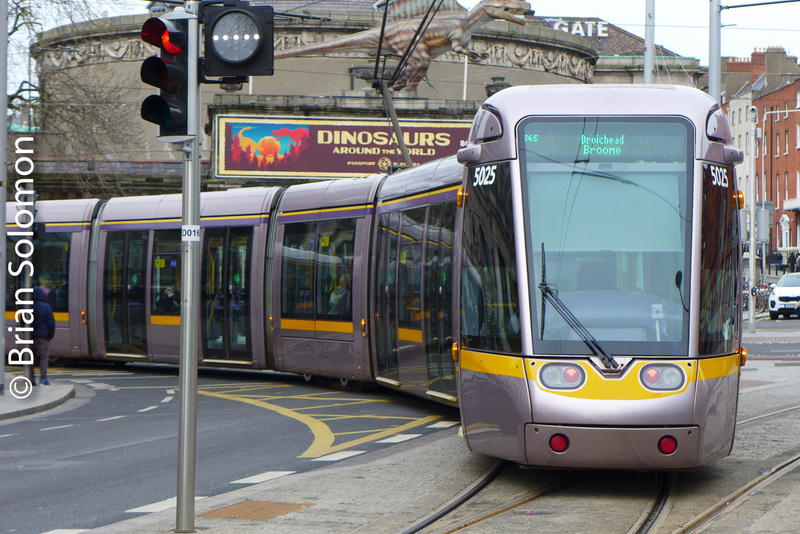 A few of the older trams still feature this unusual style of pantograph. 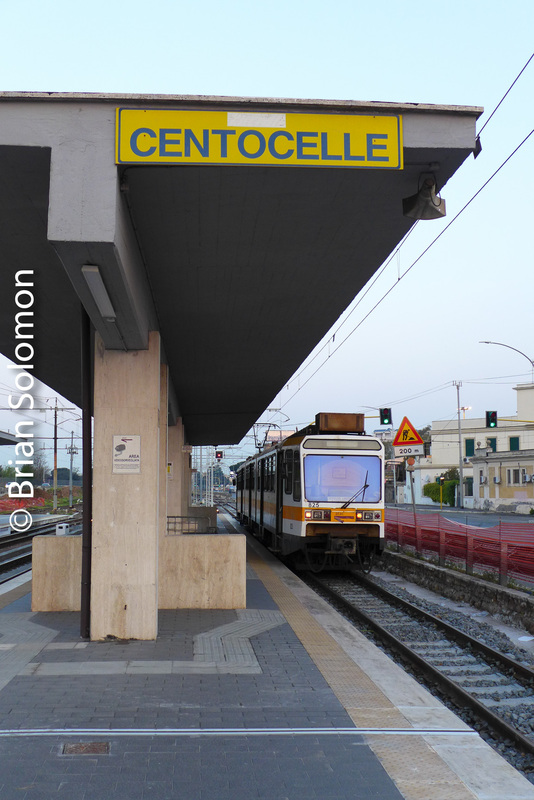 A vestige of a narrow gauge interurban line runs through the wall at Porta Maggiore. I made these photos using my Lumix LX7 digital camera, but also exposed a few colour sldies. The tram junction sits in the middle of a roundabout (traffic circle) with some of the most irrational driving I’ve ever witnessed. Despite the road chaos, we were able to nip across the street for a gelato (ice cream). Colour in the Streets; Geneva’s Trams. Geneva, Switzerland has a remarkable tram network that has melded traditional routes with modern construction. I made this selection of photographs on my recent visit using both my FujiFilm X-T1 and Panasonic Lumix LX-7 digital cameras. 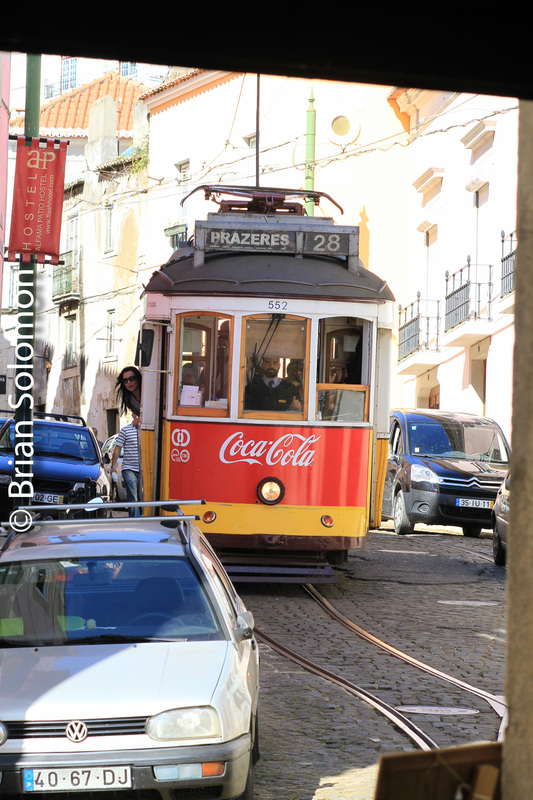 When making tram photographs I often aim to place the cars in their urban environment. 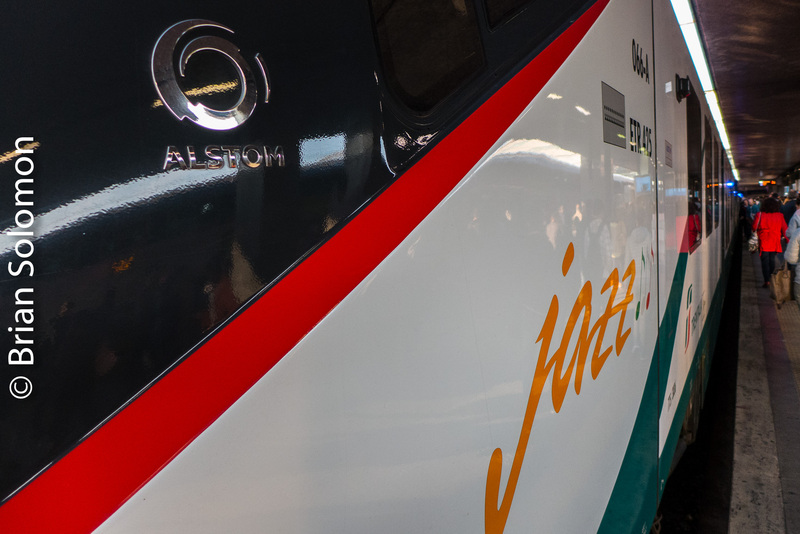 Geneva’s trams feature a variety of special liveries making for a colourful fleet. Telephoto view using a FujiFilm X-T1 with 18-135mm lens. 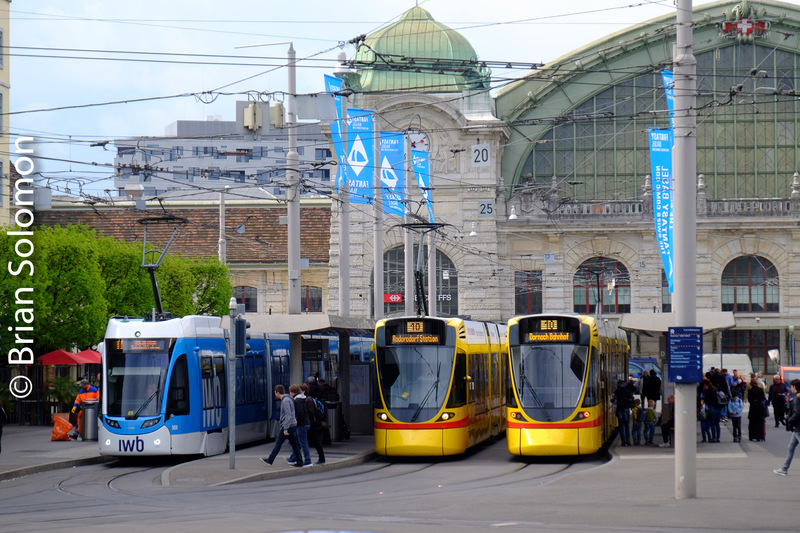 Blue and white is the standard livery on Geneva’s tram and bus fleet. An odd colour for tram; hot pink. Works for Easter I suppose. FujiFilm X-T1 photo. 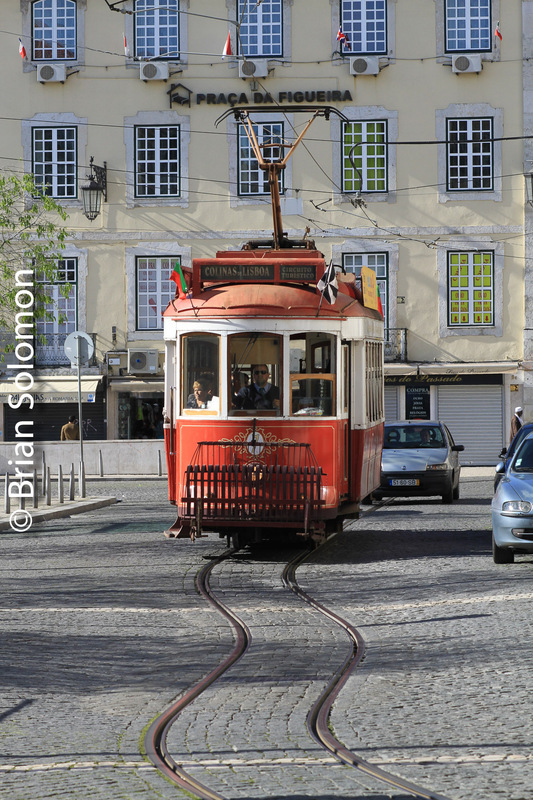 Tram, bus and trolley bus; FujiFilm X-T1 photo. 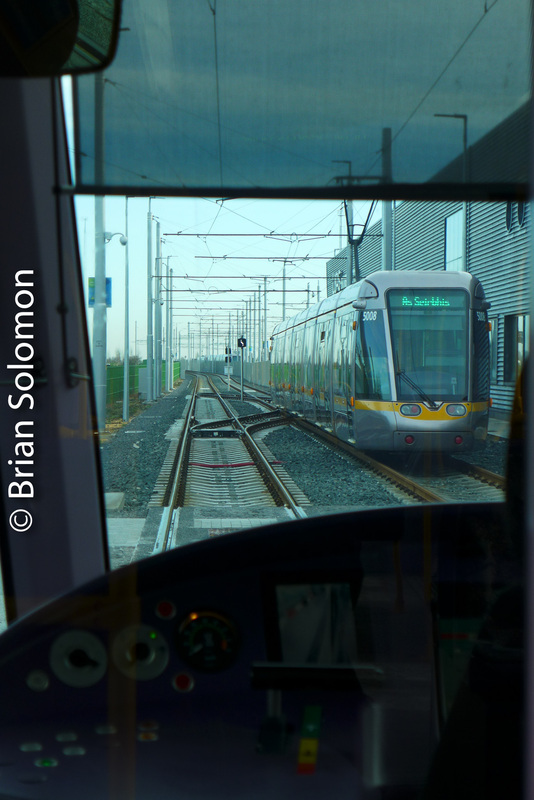 Lumix LX-7 photo of tram taking a turning loop. My Lumix LX7 is a great tool for photographing urban night scenes. 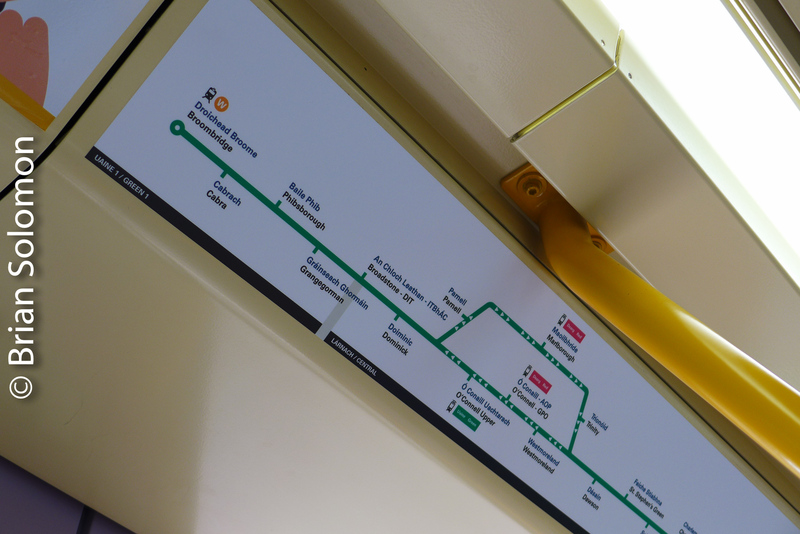 Underground, on the Surface, and on the Elevated: Trams in Köln. Just a few views from the lens of my Lumix LX7: trams on the roll in Köln during my recent visit. Köln’s extensive light rail network has endless opportunities for photographs. Over the years I made a few images, but I’ve long felt a more extensive exploration is in the cards. On an elevated structure approaching Neusser Str. Vienna by Night; Take a Spin on the Tram. A rainy evening in Vienna; enjoy a Wiener Schnitzel, some Gösser and take spin on the trams. 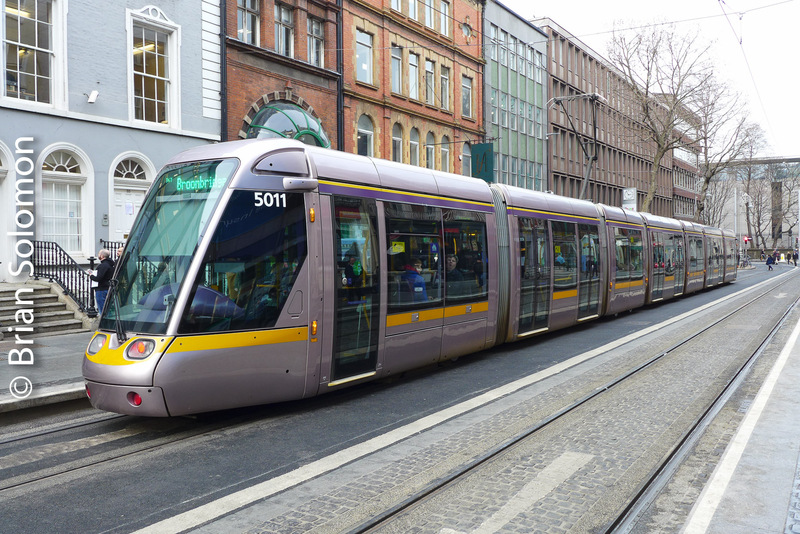 Vienna features one of the most extensive tram networks in the world, and this is well-integrated with the U-Bahn, S-Bahn and other public transport. From a photographic perspective it’s hard to go wrong. I made these images with my Panasonic Lumix LX-7. Word of warning; when making photos with digital cameras in consistently wet circumstances, try to keep your camera dry! After several hours of dampness, my Lumix LX-7’s lens fogged up from the inside and I needed to shut it down and give it about 12-hour rest in a dry area. 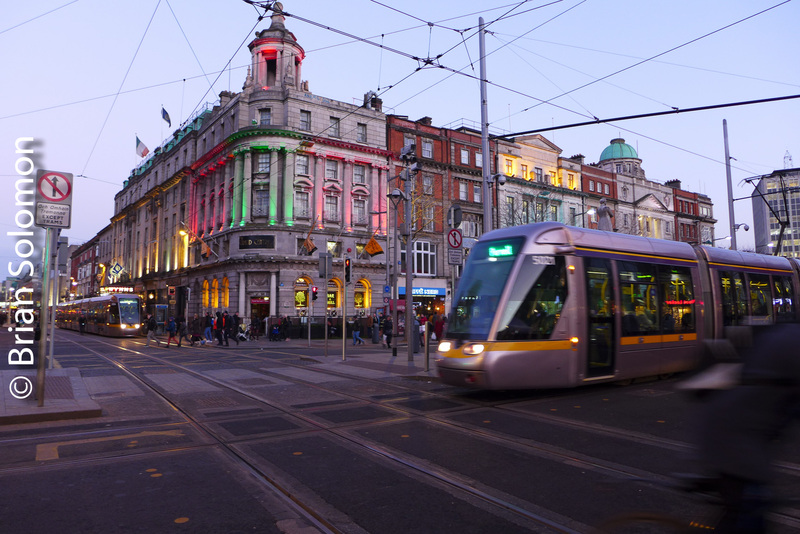 Here’s another contemporary black & white view on Dublin’s O’Connell Street. In the window of Ulster Bank is a view from 1916 showing the ruins of Dublin’s General Post Office, destroyed during the 1916 Easter Rising. 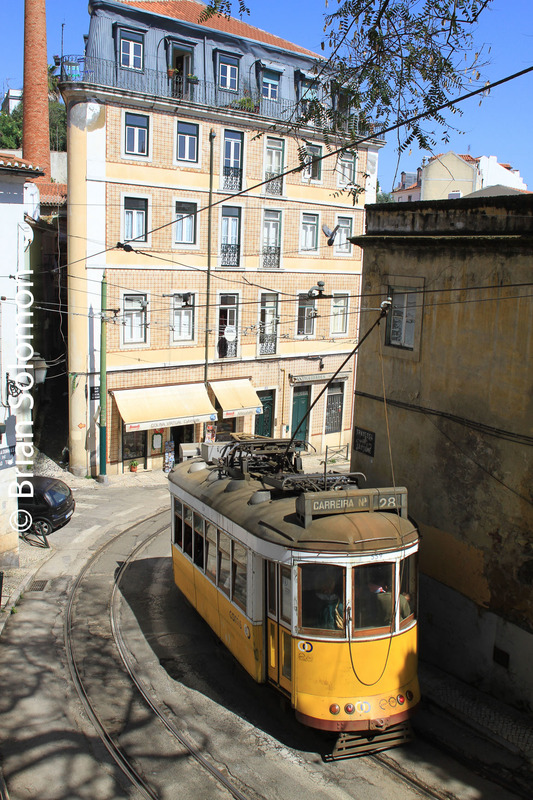 Old trams grind along near the old terminus at Nelson’s Pillar. A child looks at us across the void of time. Modern pedestrians are a focused on their phones or the ATM at the side of the bank. 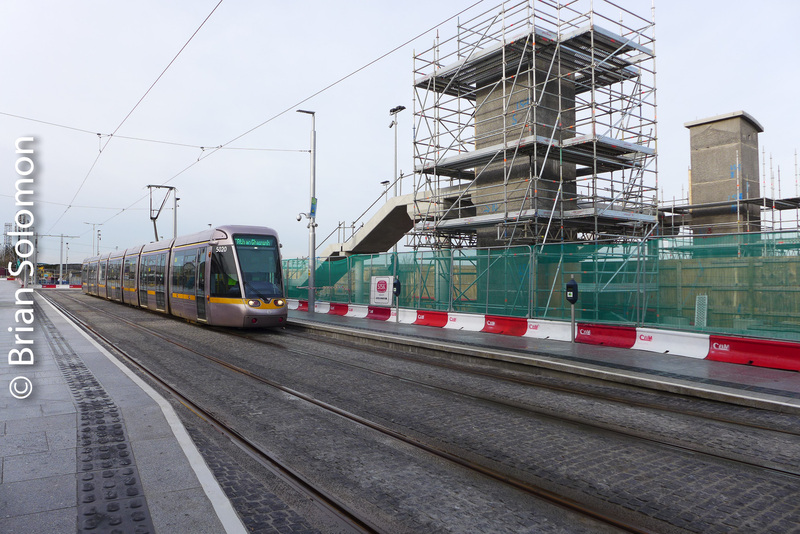 Today, tracks are being re-built on O’Connell Street, and after a long absence tram service is expected to resume in 2017. Exposed on Ilford HP5 using a Nikon F3 with 24mm Nikkor lens. Do you think this photo would as effective in colour. Illustration in Bordeaux-Four New Images. Illustration versus documentation: Often I set out to document a scene. My process and techniques are focused toward making images that preserve the way a scene or equipment appear. Often, but not today. Creation of an illustration may not be intended as documentation. An illustration is created to convey a message; perhaps that needed for advertising, art, or publicity. 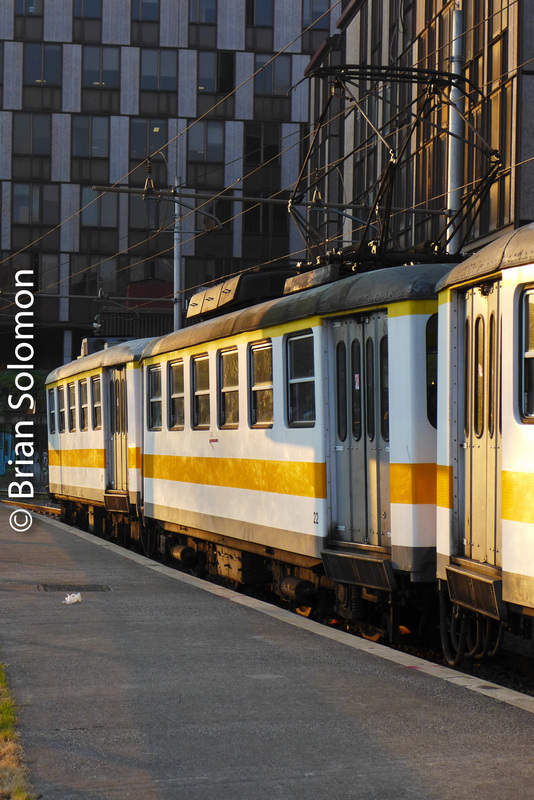 While photographing in Bordeaux, I found that the juxtaposition of the modern trams against both modern and historic architectural backdrops looked remarkably like artist’s/architect’s impressional drawings. So, as an exercise in illustration, I’ve intentionally manipulated the camera RAW files to make them appear more like the artist’s impressional drawings, such as those often displayed as visions of the future. Specifically, I altered the contrast and de-saturated the color palate to mimic a water-color tinted image. I did not destroy the original files, and so I have the benefit of documentation and illustration with the same photos. Have I done anything fundamentally different here than with images created (augmented) by the manipulation of digital files to produce super-saturated colors, plus intensely contrast adjusted effects that result in dream-like sky-scapes? Is a posed railway publicity photo that was heavily re-touched by air-brushing or similar alteration to be considered documentation? In a later post, I’ll explore Bordeaux’s tram network in fully saturated color. Trams in Basel, Switzerland; 21 April 2016. 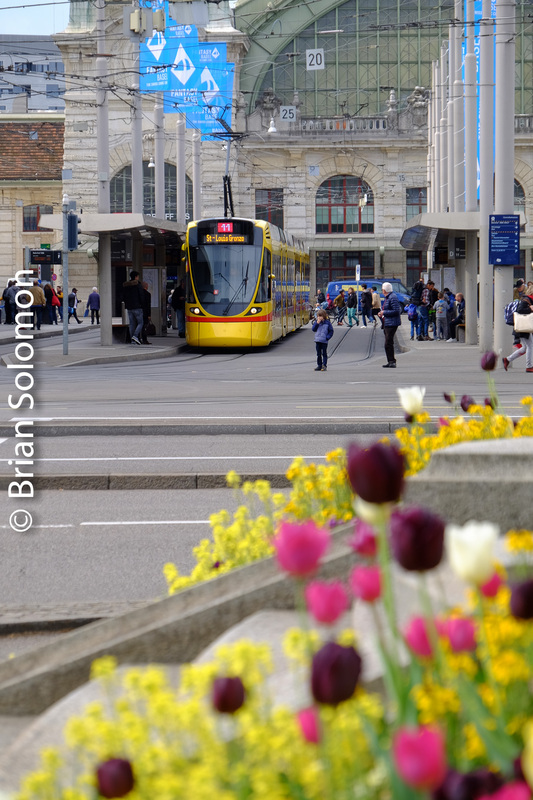 On the morning of 21 April 2016, I had a few minutes to make photos of Basel’s trams using my Lumix LX7. Low clear morning sun helped make my brief efforts a photographic success. Perhaps on future visit, it would be nice to re-explore the Basel network to a greater extent. 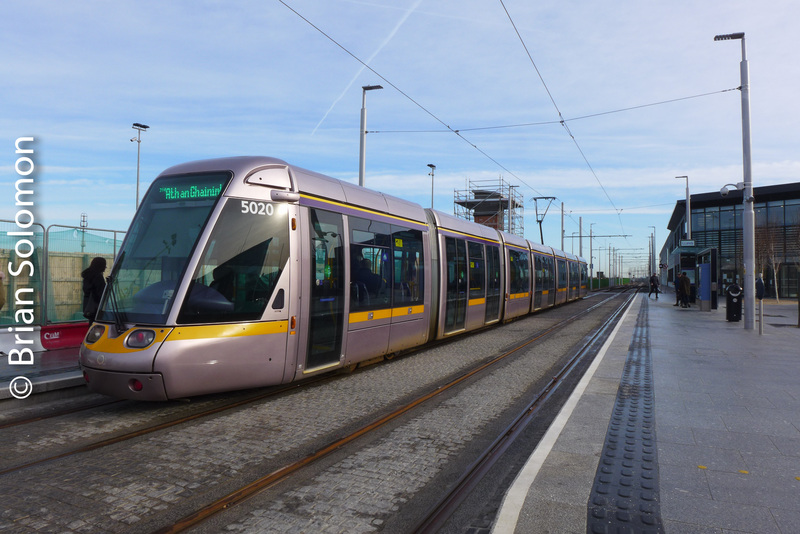 This side-lit view favors the tram’s modern profile. Sun and shadows in Basel on 21 April 21, 2016. A modern tram waits for passengers at Basel’s SBB Bahnhof. Here I was aiming to feature the Swiss flag. This shadowed view offers different contrast than images in direct sun. It was a week before September 11, 2001. I’d taken the ferry from Helsinki to Tallinn. 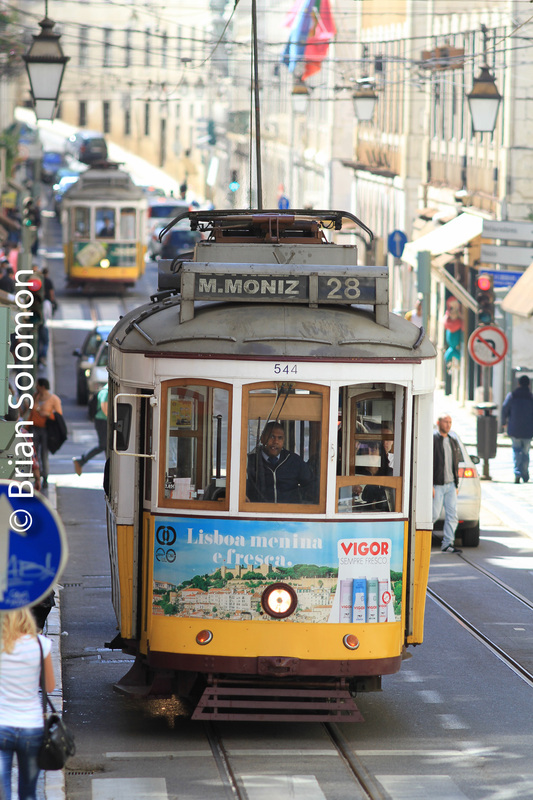 During my first couple of days I rode around on the tram exploring the city. Comfort class on a Tatra. Exposed with my Contax G2 rangefinder on Sensia 100 slide film. In short 2001 was a very intensive year photographically. A week after ‘9-11’, I’d headed off to Spain in search of General Motors diesels and TALGO trains. When my Estonian slides came back from the processing labs, I’d quickly picked out key images and the rest were filed away, largely unedited along with a host of other trips from the same year. For years, I wondered what had happened to the Tallinn tram photos. I recalled riding the trams, but the slides were not mixed in with my other Estonian photos. Trams by the Baltic sea at the Kopli terminus. Contax G2 rangefinder photo exposed on Sensia 100 slide film. Complicating matters, I returned to Estonia a year later for an even more extensive trip and many of my photos of railway operations around Tallinn were exposed in 2002. Last week, I found these images along with the photos I made in Spain, Finland, and Ireland, plus those along New York’s Southern Tier, northern and central Pennsylvania, the Berkshires of Massachusetts, Philadelphia, Washington DC, Charlottesville, Virginia and Vermont, all of which were exposed over an 8 week span. They didn’t paint cars like this in Soviet times! Contax G2 rangefinder photo exposed on Sensia 100 slide film. Near the main railway station. Contax G2 rangefinder photo exposed on Sensia 100 slide film. Contax G2 rangefinder photo exposed on Sensia 100 slide film. I’m glad I kept notes to sort it all out! Tracking the Light Takes Many Angles on Photography! Rails through the Street at Mainz at Dusk—8 photos! During my Rhein travels in September, I had the opportunity to make a few photographs of the narrow gauge tram network at Mainz. In the fading light of that day, I exposed these photos using my FujiFilm X-T1 and Lumix LX-7. Mainz is one of dozens of German cities with an active tram network. Someday, I hope to be able explore it fully. Panning and low angles a nice trick from making more dramatic tram pictures. Lumix LX7 of a tram in Mainz. 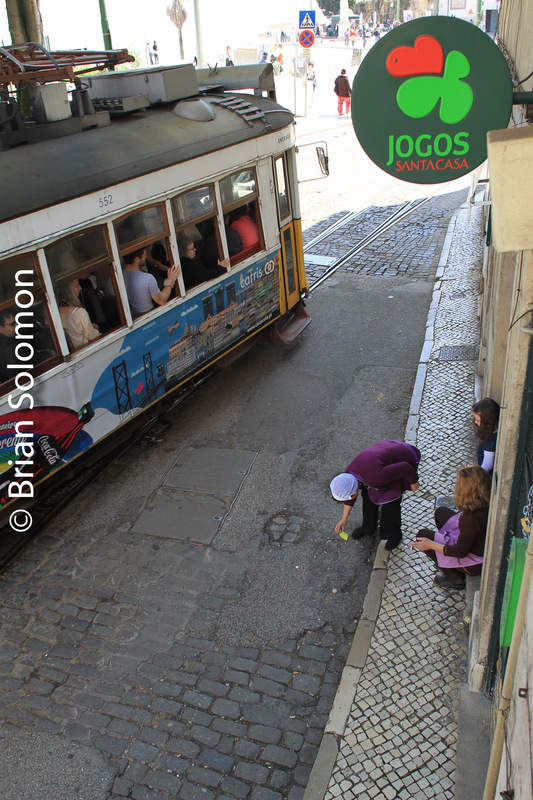 Here I’ve composed the photo to emphasize the track work and street paving. LX7 photo. 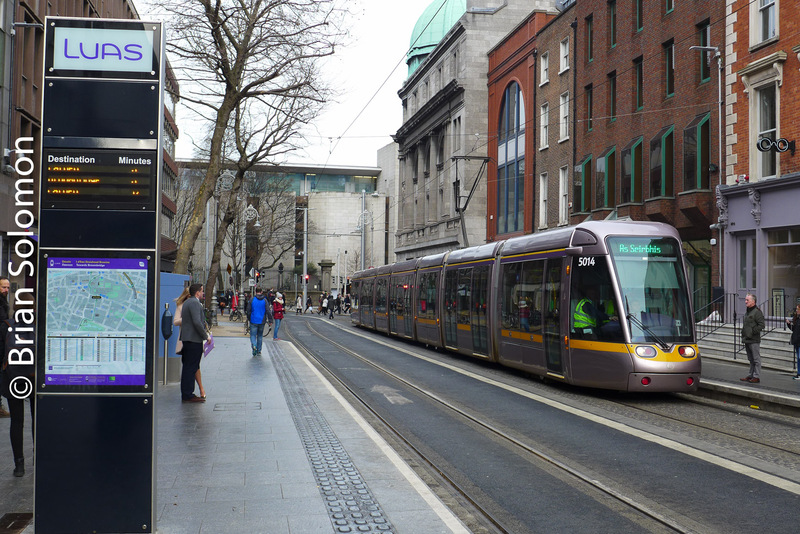 A slight pan sets the tram apart from the background. LX7 photo. Spot the subject. LX7 photo. Narrow gauge for narrow streets. Fuji film X-T1 photo. Tram with fountain. LX7 photo. Panning helps compensate for a slower shutter speed while conveying motion. LX7 photo. Passengers are part of the scene. LX7 photo.